Narcan is the trade name for Naloxone, the drug used to reverse the life threatening effects of opiate overdoses. Naloxone is used on any opiate overdose and, if administered soon enough, will work even if the patient has stopped breathing. 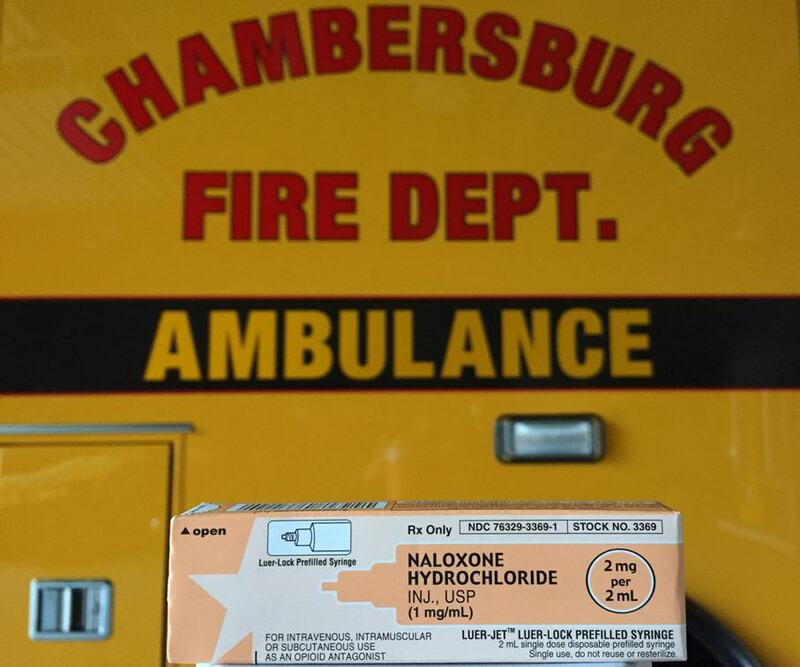 Chambersburg Fire Department EMS and QRS joined thousands of fire and police departments around the country and started carrying Naloxone on all ambulances and QRS apparatus on Friday, September 23, 2016. The very next day, the first dose of Naloxone was used to save a patient from an overdose. Ambulance 1-8 crew arrived first on scene. The ALS unit, traveling from Shippensburg, and PA State Police were en route. CFD EMT Randall Pryor administered the Naloxone after assessing the situation, and the patient was walking around before the other units arrived.